After another highly entertaining season of Big Bash League action, we have a Melbourne derby in store for us in the final as the Renegades host the Stars on Sunday. Both teams haven't won the Big Bash so far and will be eyeing their first ever BBL triumph with the Renegades upbeat after a brilliant chase against the Sixers. The Stars have banked on their international stars as the likes of Glenn Maxwell and Marcus Stoinis have powered the Stars to yet another final. With this being perhaps the most important derby in the history of the BBL, it is much more than just the trophy on the line. Who will come it victorious in this high-octane match come Sunday? No changes are expected of the Renegades after a brilliant come back after being pummeled by Daniel Hughes and Josh Phillipe at the start of the first innings. Kane Richardson proved to be expensive but a big performance is expected from him against the likes of Marcus Stoinis and Peter Handscomb. Cameron White looked in ominous form before his innings was cut short while Aaron Finch looks steady with the bat although not at his best. Possible XI: Harris, Finch(C), Harper(WK), White, Cooper, Harvey, Christian, Boyce, Richardson, Gurney and Tremain. Similarly, the Stars have also found their winning combination and wouldn't tinker with it. Glenn Maxwell has single-handedly taken them to the finals with brilliant performances in the last two matches. Along with Marcus Stoinis, he is one of their most important players and will be key to their fortunes on Sunday. Sandeep Lamichhane is also expected to have a say against the Stars, who have struggled against quality spin this season. Wicket-keeper: Both Harper and Handscomb are in good touch but considering his knack for runs in the crunch situations, Handscomb should be the preferred choice for this slot. His highest score this season came against the Renegades and another supremely paced innings is expected of the Australian international. Batsmen: Aaron Finch and Glenn Maxwell are two of Australia's best in the format and are must-haves in such a situation. Along with them, the likes of Marcus Harris, Cameron White and Ben Dunk are also viable options to have in the side. Ben Dunk hasn't been at his best for the Stars but with the title on the line, he could come up with a blistering knock against a good Renegades side. All-rounders: With three quality all-rounders on the offer, either of Marcus Stoinis or Dwayne Bravo would suffice alongside Daniel Christian, who took the Renegades home in the semi-final. Marcus Stoinis has been getting the Stars off to good starts at the top of the order but is due for a failure which could give Dwayne Bravo the nod. 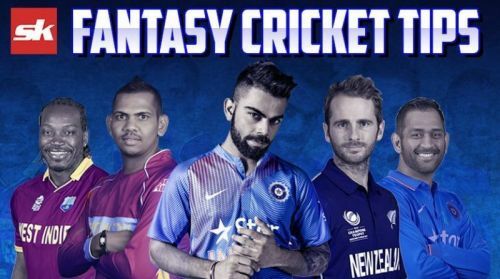 Bowlers: Sandeep Lamichhane, Kane Richardson, Harry Gurney and Adam Zampa are the ideal set of bowlers to have in your fantasy team. All of them are in good wicket-taking form as well with Richardson leading the bowlers' charts with the most wickets this season with 24. Cameron Boyce could also slot in for either of the two Renegades pacers if a spinning option if preferred. Captain: Aaron Finch is the ideal choice for captain considering the occasion. He hasn't been at his supreme best but this might just be the occasion for him to turn on and spring back to form before the tour of India commences. Other options include Peter Handscomb and Glenn Maxwell, who are also in good touch and could be backed if Stars' players are required for your team as the captain.